Your family is your world, and heaven knows those kids change in the blink of an eye. A children’s portrait session is the perfect way to document all those things that make your kids who they are! My specialty is guiding families from the very first consultation all the way through to when you open your final art delivery and see your images in your home. My goal is to make that process as seamless and easy for you as possible, and to make your children’s session a fun time for your munchkins. I work with you to understand your needs and wants, as well as your personal style and home decor. So your session is designed just for you. I’ll make sure you have the information you need to plan your outfits and prepare for your session so you can enjoy it. No need to bribe or threaten, just tell the kids that they’re going to have a relaxed day of playing together with a new friend (me!) and her camera. I’ll handle the rest. I work hard to plan the perfect session for your kids, so I can keep it moving quickly and smoothly and make it fun. All you have to do is show up. And maybe be okay with getting a just a little bit silly. 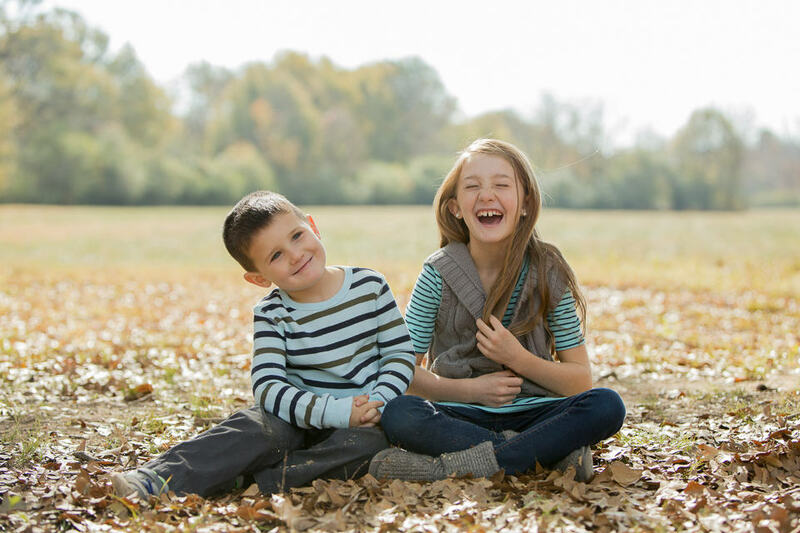 For my children’s portrait sessions, my goal is capture images that show each child’s personality, and the connections between siblings. I like to capture a good variety of different groupings, and different moods. I work to get both posed and candid images of each child alone and different sibling pairings. You’ll get to see your gallery of image options at your Reveal & Ordering Session, where I’ll be on hand to help you with picking the products that best meet your needs, and selecting the images that work best with those products. And because we will have worked closely to understand what makes your family who they are, your images will capture the unique relationships that make your family… yours! Check out this great resource on what to wear for your portrait session! View our gallery of children’s portraits for ideas and inspiration.